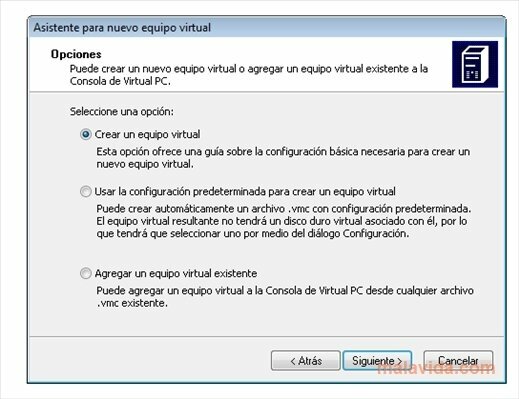 Microsoft Virtual PC 2007 is the solution offered by Microsoft, thanks to which we'll have the opportunity to virtualize almost any version of Windows, thus being possible to use applications without them being able to affect our computer. 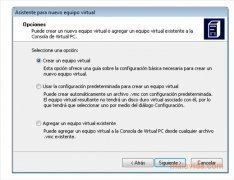 One of the greatest appeals of this tool is how easy it is to handle, thanks mainly to how simple its interface is and the assistants that will guide us step by step in the creation of each one of the virtual machines. 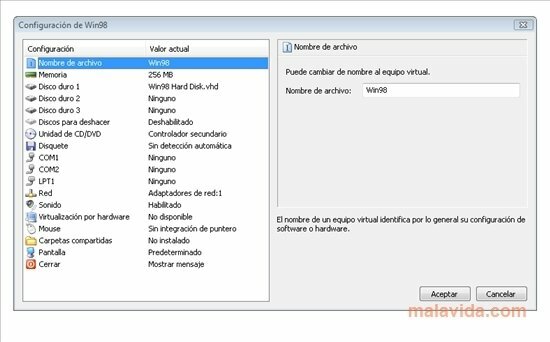 The program will allow us to manage the resources that each of the virtualized systems will be able to use (connection to the Internet, access to external drives, amount of RAM memory, space on the hard drive,...). 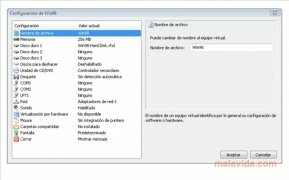 Another of the main features of this tool is that it's possible to share folders between the virtual machines and our operating system with a single click of the mouse, thus making it very easy to share files. 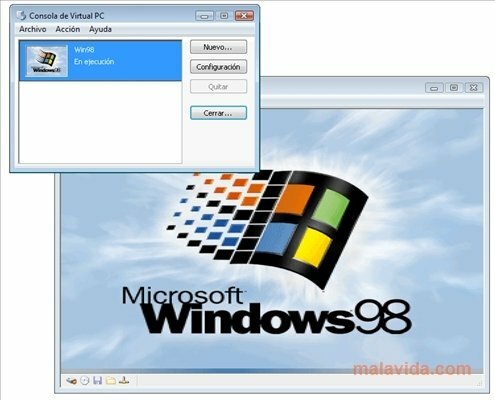 If you're looking for a free program that will allow you to virtualize other versions of Windows on your PC in the most simple fashion, download and try out Microsoft Virtual PC 2007, the alternative developed by Microsoft.